One shoe off and one shoe on......Love this! 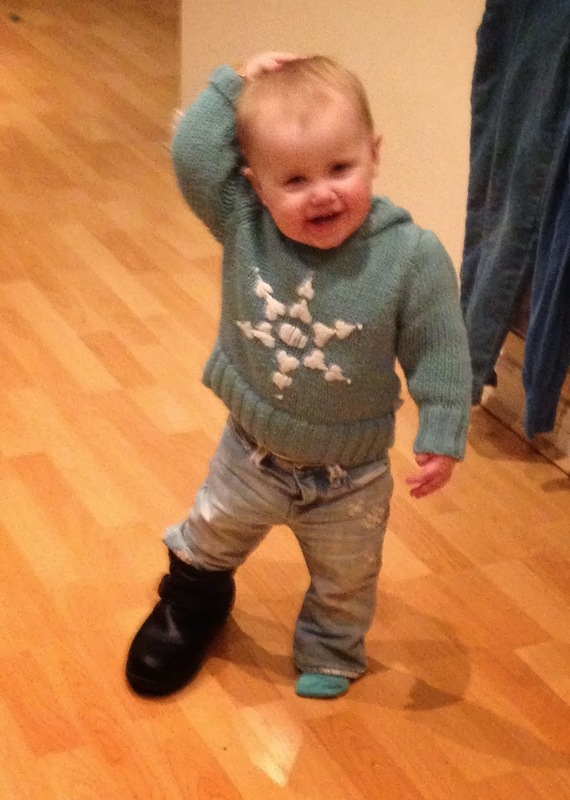 haha she looks like she want to say "now where did i put the other shoe" too cute!!! Bless! Somrthing's not quite right! That is a very cheeky smile. Aww that's so cute! Shoes always go missing in our house, thanks to my eldest daughter! Fashion icon - so cute! I love her jumper - so cute. And the look of mischief on her face is even better. Hope she didn't trip over!